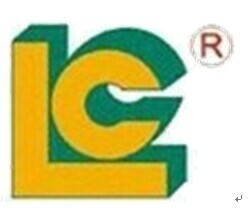 LC-135PH is suitable for all kinds of material product precision print. Such as: metal, glass, ceramics, plastic, wood, leather and other materials. Widely used in the electronic apparatus, advertising, toys, stationery gifts etc. Products such as lens, IC, thermal resistor etc. Meanwhile the machine also suitable for other precision printing, membrane switch (button), instruments and name plate, billboard scutcheon. 1, microcomputer intelligent IC cooperate with light touching panel compiler action program control, simple operation, the movement are correct and reliable. Looking for ideal Mini Silk Screen Printing Machine for Cardboard Manufacturer & supplier ? We have a wide selection at great prices to help you get creative. All the Portable Silk Screen Printing Machine are quality guaranteed. We are China Origin Factory of Cheap Silk Screen Printer. If you have any question, please feel free to contact us.